Braddock, Pa., October 28, 2015 – Mon Valley Initiative (MVI) will host a Ribbon Cutting Ceremony for the newly-renovated Free Press Buildings in Braddock, featuring speeches by HUD Pittsburgh Field Office Director Jane Miller, Allegheny County Executive Rich Fitzgerald, Braddock Council President Tina Doose, MVI Chief Executive Officer, Laura Zinski, and other project partners. The Ribbon Cutting will take place on Friday, October 30, 2015 at 10:00 a.m. at the corner of Braddock Avenue and Corey Avenue in Braddock, Pa. The four properties referred to as the Free Press Buildings, a $1.65 million restoration project, are located at 522, 524, 526, and 528 Braddock Avenue. The restored buildings now consist of seven commercial spaces suitable for both larger companies and smaller businesses, along with seven residential apartments on the upper floors targeted to mixed-income renters. 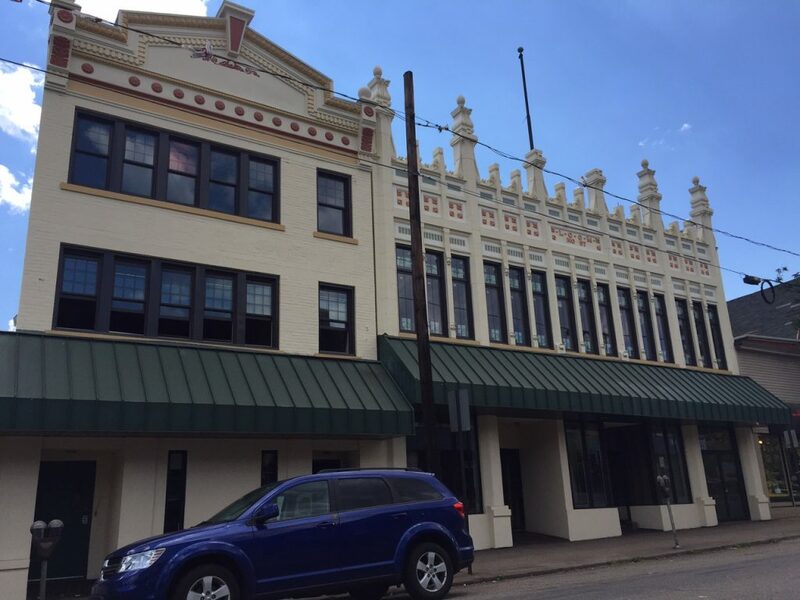 These four properties were once home to Braddock anchors such as Guentert’s Bakery, the Braddock Moose Lodge and the Braddock Free Press newspaper. They remain among the most historically intact buildings along Braddock Avenue. The structures were identified by the community as a priority during a Braddock Avenue visioning process in 2011 that was held in response to the announced closure of UPMC Braddock Hospital. Ranking second only to the redevelopment of the hospital site itself, the renovation of these buildings was vital to insuring that Braddock’s proud history was retained. As a partner in the major redevelopment efforts underway on the former hospital site, MVI and local member, the Braddock Economic Development Corporation (BEDCO), listened to the community’s direction and prioritized the Free Press buildings for redevelopment as well. With assistance from the Allegheny County Vacant Property Recovery Program, MVI acquired the properties in late 2013. Immediately upon acquisition, MVI invested $150,000 to address significant deterioration, stabilizing the buildings that turned out to be on the verge of collapse. Additional vital funding was then provided by Allegheny County and the U.S. Department of Housing and Urban Development, allowing a total renovation. With miraculous timing, what could have been a great loss to the community is now an inspiration. MVI now has a number of new businesses lined up to fill the commercial spaces and a waiting list for the residential units. In all, the project restores 28,000 square feet to the tax rolls, providing a boost to the local economy. The Ribbon Cutting Ceremony for the Free Press Buildings restoration will celebrate a wonderful community success resulting from many years of work, great partners, and respect for inclusive community process. Tours of the building and press interviews will be held at 9 a.m., prior to the 10 a.m. ceremony start time. The Mon Valley Initiative (MVI) is a 501(c)(3) grass-roots coalition comprised of 10 Community Development Corporations (CDCs) and representing twelve municipalities in the Monongahela Valley, all working together to revitalize the economy and to restore the economic vitality of the Mon Valley. MVI’s four program areas are: Housing & Real Estate Development, Business & Workforce Development, Housing Counseling, and Community Outreach.